This post is sponsored by North Country Smokehouse Bacon. All opinions are my own as always. 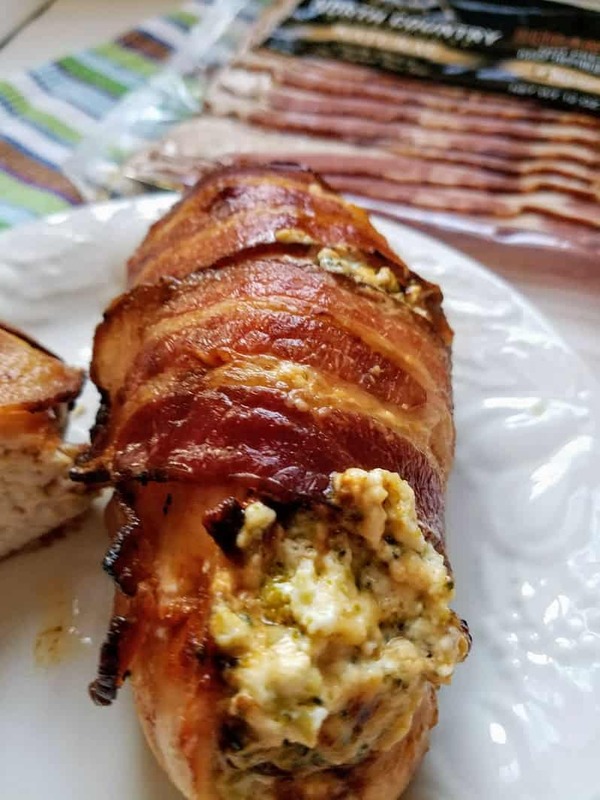 Keto Stuffed Chicken Breast – juicy boneless chicken breast stuffed with broccoli, cheeses, and spices wrapped in delicious North Country Smokehouse Bacon. A savory blend of cheese and vegetables; the best way to spice up your usual chicken dinner night. Incredibly easy, cheesy and delicious and low carb option. Great for entertaining, or just for an incredibly delicious weeknight meal. 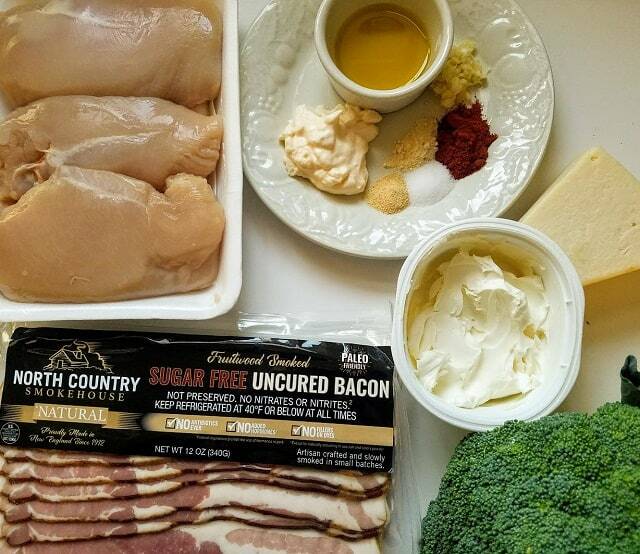 North Country Smokehouse Bacon is sugar-free which is wonderful for a Keto/ Low Carb lifestyle. 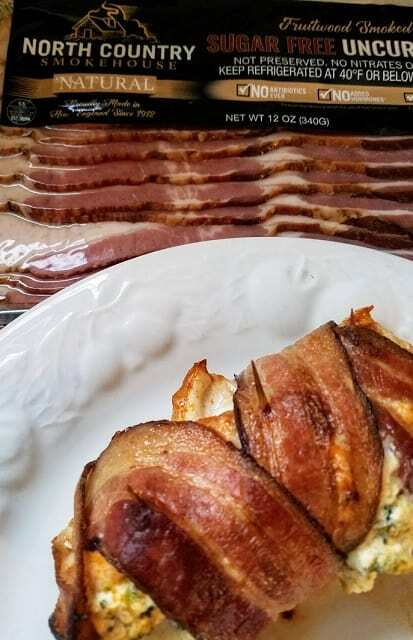 North Country Smokehouse Bacon is hand-crafted and has a wonderful bold flavor. North Smokehouse’s secret for their exceptional flavor is credited to how they smoke their bacon low and slow. Bacon is smoked for over 10 hours creating an exceptional flavor. For more than 100 years, North Country Smokehouse has been crafting small-batch meats, smoking over applewood, fruitwood, and hickory. The stuffing of this chicken makes this dish bursting with flavors. With the chicken wrapped with bacon, it’s an absolute symphony of flavors and a full balance of protein and vegetables. Got a picky eater? This is a great way to hide all the veggies. 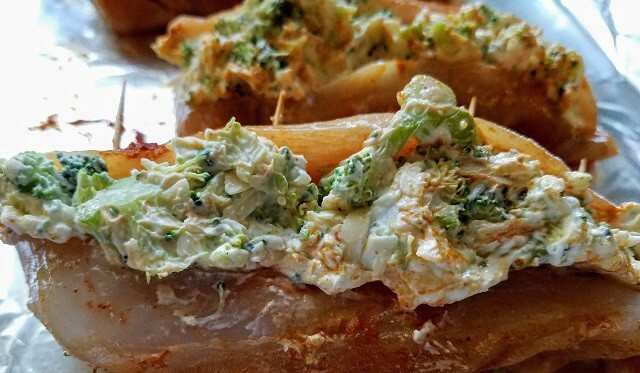 Your picky eaters will love the presence of the cheese inside and the well-seasoned chicken. If you happen to be on a Low Carb/Keto diet, and even if you are not, you will love this chicken recipe. The cheesy stuffing with broccoli with the thick North Country Smokehouse Bacon puts this chicken meal over the top delicious! It can be ready in under an hour. The new sugar-free line of bacon offers two types of bacon varieties, 12 ounces Natural Certified Humane Fruitwood Bacon and 8 ounces Organic Applewood Smoked Bacon. 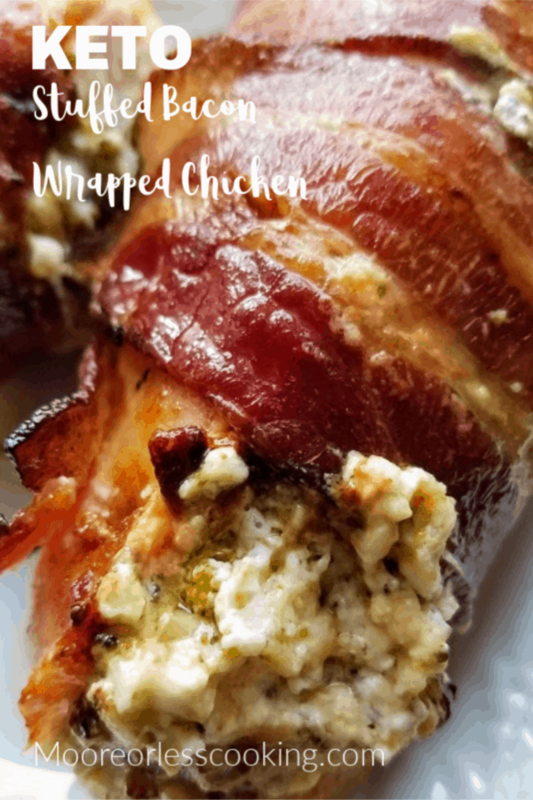 Keto Bacon Wrapped Stuffed Chicken makes a delicious weeknight family dinner or a fine-dining experience, just in time for the holidays! It is sure to impress your friends and family. Moist, rich, flavorful, easy and surprisingly healthy. Pair with riced cauliflower or a green salad, and you’re all set for a lovely guilt-free meal! 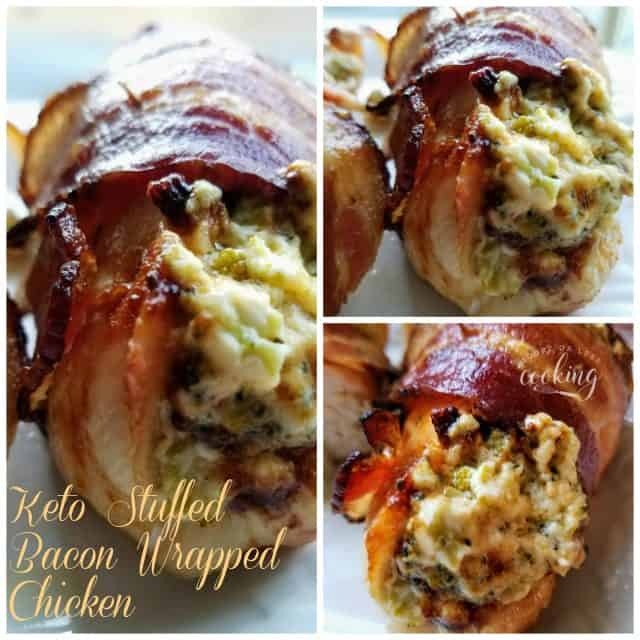 If you’ve been cooking chicken breast the same way over and over again, you have to add this Keto Bacon Wrapped Stuffed Chicken Breast to your dinner repertoire. It’s pretty customizable to your liking and so easy to whip up – very straightforward. This is one of those recipes that you will love for years to come. It’s very easy to make and very versatile. The filling can be made ahead and the chicken stuffed if you need to make this recipe ahead of time. 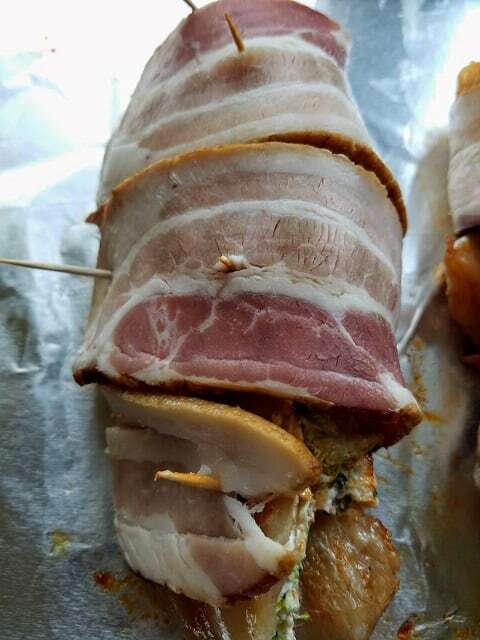 Low Carb Keto Stuffed Bacon Wrapped Chicken. 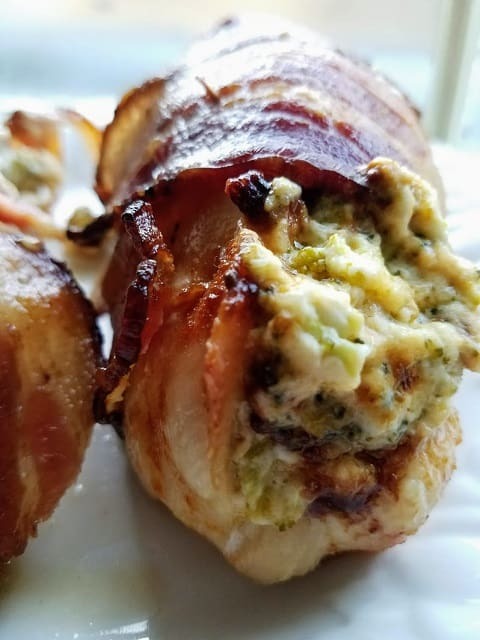 Family favorite broccoli and cheese stuffed chicken breasts wrapped in crispy smoky bacon. Place chicken on cutting board. Using a sharp knife, cut a pocket on the side of each chicken breast. Drizzle olive oil over each piece of chicken. In a small bowl add spices plus 1/2 teaspoon of salt. Mix with a spoon. Sprinkle spices over the chicken, front and back. In another bowl mix cream cheese, Parmesan, Mayo, minced garlic, remaining 1/2 tsp salt, mix well, stir in broccoli. Spoon broccoli cheese mixture evenly into each chicken breast. Close chicken breasts with toothpicks. Wrap bacon around each chicken breast until covered. Place chicken on a foil covered baking sheet. Bake for 30-40 minutes, or until chicken is cooked through. Place pan under broiler to make the bacon crispier if desired. Keep a close eye to make sure it doesn't burn. To reheat, cover with foil. If reheating, cover with foil. This is simply the best chicken! The bacon is incredible! Thank you Raymond! It is so delicious and low carb! Can prepare the stuffed chicken ahead and cook it later for a party? Yes, absolutely. I have prepped everything before a dinner party, works great! 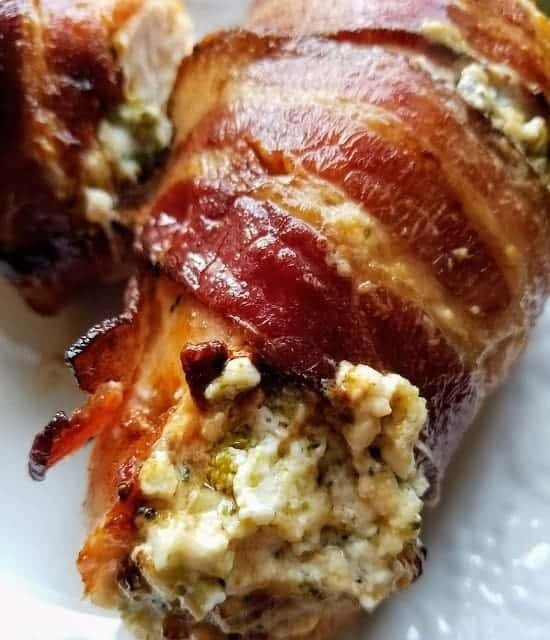 This looks delicious, I’ve got mine under the broiler, but the bacon doesn’t look as crisp as the picture 🙄 any ideas? It may be the difference with the thickness of the bacon, I left mine under the broiler until it looks crispy, make sure to not let it burn. Wow! I’m not sure, I haven’t tried that before, let me know if you make it!